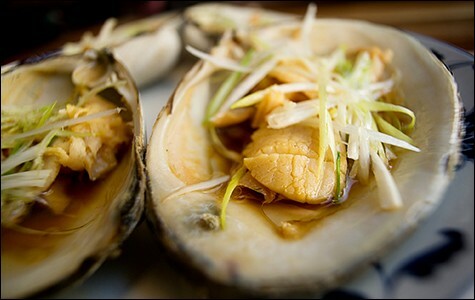 Steamed surf clams at Great China. Yesterday, the Michelin Guide's anonymous inspectors dropped their 2015 Bay Area "Bib Gourmand" list, which honors restaurants that offer "good cuisine at a reasonable price." The Bib Gourmand designation is meant to recognize restaurants where you can get two courses and a glass of wine or dessert for $40 or less — though that often feels like a somewhat arbitrarily applied benchmark, as a handful of restaurants on the list are truly budget-friendly, while others are quite expensive. You can check out the entire Bay Area list here. The Bib Gourmand honors come in advance of next Tuesday's Michelin star announcements, when we'll find out, among other things, whether James Syhabout's Commis retains its status as the East Bay's only Michelin-starred restaurant.